I was up at 3am or 5am or some other ungodly hour last week with a sick 3 year old and found myself watching Hong Kong Phooey. 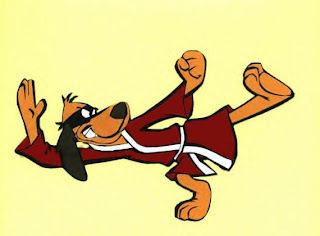 Hong Kong Phooey!! Can you believe it? Famous in the 70's for his high kicks and alter ego of a mild mannered janitor, Hong Kong Phooey has to rate as one of my Top 5 Cartoon Characters. 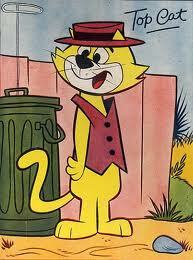 Now who can remember the theme tune? 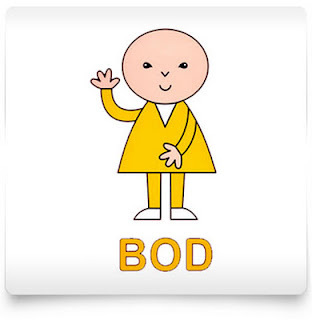 To be fair it was actually Benny the little blue guy that was my favourite, but Top Cat has a special place in my heart, and after all it was his show. The character of Bod is a boy who lives in a town with Aunt Flo, PC Copper, Frank the Postman and Farmer Barleymow. 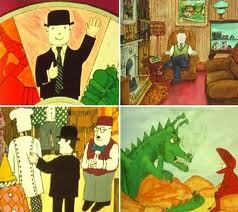 Each of the characters have their own theme music performed by Griffiths which is heard when they appear. Clearly I was a lot easier to please back then. Doesn't really need an explanation does it? 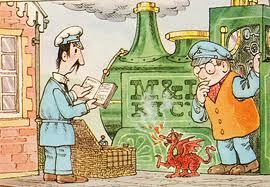 This was a real toss up between Ivor and Dillon from Magic Roundabout. Obviously my attraction to stoned out individuals started early. Ivor pipped him to the post though simply for nostalgic reasons - those remastered Magic Roundabout episodes kind of ruined it for me.